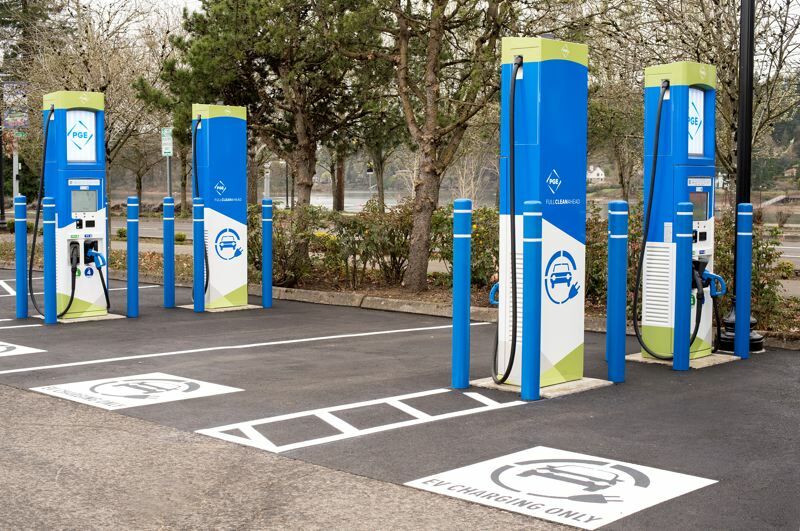 Portland General Electric and the City of Milwaukie will host the grand opening of the area's newest electric vehicle charging station on Saturday, April 6, from 10 a.m. to 3 p.m. It is located at 10834 S.E. McLoughlin Blvd. in Milwaukie, at the intersection of Southeast McLoughlin Boulevard (Highway 99E) and Southeast Jackson Street. The grand opening will include a ribbon-cutting ceremony and the opportunity to learn about and test drive electric vehicles. It is open to the public, free, and will include family-friendly with kids' activities and food from local vendors available for purchase. Speakers will include PGE President and CEO Maria Pope and Milwaukie Mayor Mark Gamba. The ride-and-drive portion of the event starts at 11 a.m.
PGE and the city partnered to build Milwaukie Electric Avenue to help the community meet its climate action goals and accelerate Oregon's transition to clean energy. According to PGE, transportation is the largest source of carbon emissions in the state, making an electrified transportation system critical to a carbon-free future. The opening of this new Electric Avenue is an important milestone because it officially launches the expansion of PGE's public charging network. Five additional locations are planned for construction later this year. All charging stations in the Electric Avenue network will be powered by 100 percent renewable energy, bringing more sustainable transportation options to the region. The event is supported by BTCPower, Chargeway, Forth, Greenlots, Green Mountain Energy, the Oregon Electric Vehicle Association and Platt Auto Group. To learn more, visit www.milwaukieclimateaction.com or www.portlandgeneral.com/plugin.